This page was last updated on .6/15/11. If you know of errors please click here to let us know. 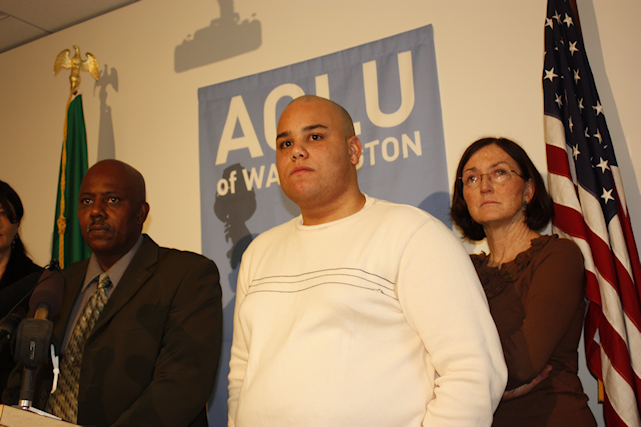 at the 12-07-10 press conference in Seattle, Washington. Russell Dickerson, Jr. is the father of plaintiff Russell Dickerson III. A former Aberdeen student has filed suit against the school district there, saying school officials did nothing to stop bullying during his years in junior high and high school. Russell Dickerson III says he was subject to repeated bullying because he's black and because of his perceived sexual orientation.